Discussion in 'BlackHat Lounge' started by darko1x, Jul 24, 2015.
so what exactly should i care about to pick the best keyword for my website ? ps: my website is not old just 4 months old ^^ so i'm still learning . 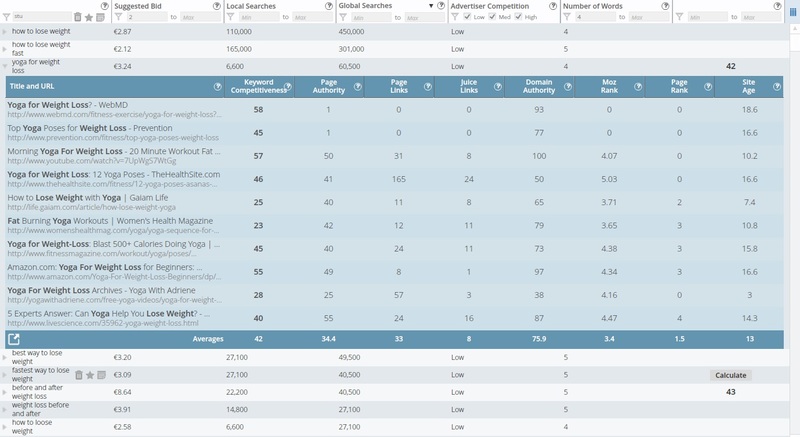 While I don't use that specific tool, the simplest way to choose a keyword is based on its SEO competition level, which you can determine for yourself or you can rely on that tool, the latter of which I'm dubious about. If you plan on monetising with Adesense, choose the keywords with the best mix of competition level and cost-per-click (CPC; Suggested bid). I'm just going to let you know that those keywords you're considering are pretty damn competitive; everyone and their mother is trying to rank for that keyword in the weight loss niche (38.9 million results returned for "how to lose weight fast"). 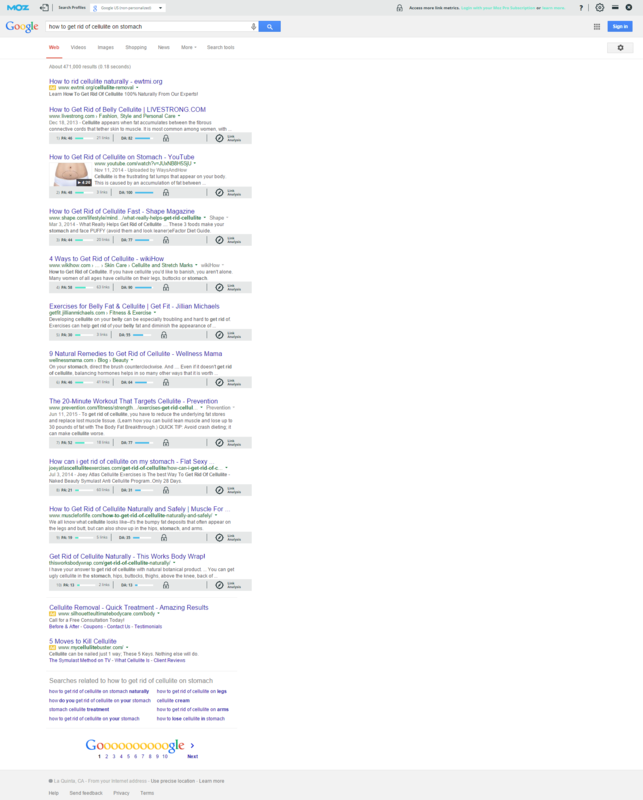 To make matters worse, the keyword "how to lose weight fast" has: a Google Entity appearing at the top of the search engine results pages (SERPs; the box that says, "Here are more tips from Dawn Jackson Blatner, RD, author of The Flexitarian Diet :"), 2 YouTube videos ranking, and a ton of ads that you'll need to compete against in addition to the authority websites ranking in the organic portion of the SERPs. So, unless you have a website that can compete with the authority websites that rank and intentionally target those keywords, or a method which would allow you to rank, I would look for a keyword that's easier to rank. As for what you should look for, try to look for keywords that are more specific like "how to get rid of cellulite on stomach". While that keyword has a YouTube video appearing pretty high in the SERPs, there are also a few sites with low domain and page authority ranking for it. It's not the best keyword you could choose (that was a keyword I quickly found to use as an example), but it's a start. what i uploaded is just an exemple. If we talk about this keyword " Yoga fo weight loss"
-The pages authority : most of the pages are below 50, is that a good sign or not ? supposing i have a new website . so am i doing it right ?